Grades available for steel, S.S , Hardened steel, cast iron etc. So as to accomplish high level of customer trust, we are keenly involved in offering 16 Edge Face Milling Cutter. We offer them at reasonable rates. Our organization has successfully expanded its business in market owing to the offered elevated quality range of Face Mill Cutter. 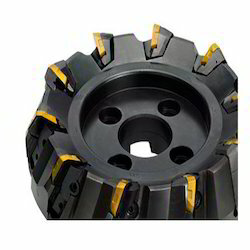 In order to cater to the numerous necessities of the patrons, we have been able to provide a wide range of Face Milling Cutter. We are a renowned entity, engaged in manufacturing and supplying a wide assortment of Side Face Cutter. This cutter is designed by our reliable vendors using high grade basic material and modish technology. 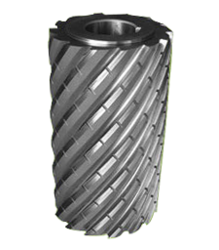 In line with clients' diverse requirements, we are involved in providing an optimum quality range of Facing Milling Cutter. We manufacture these products according to the specifications of the clients. They are available in different sizes and shapes according to the requirements of the clients. They are made of high quality material. - Face Mill Holder - End mills- dia 40mm to required size. - Face Mill Holder - Bull Nose- dia 40mm to required sizw. Aimed at prosperous growth in this domain, we are instrumental in offering an excellent quality range of Face Milling Cutter (Surface Milling Cutter).